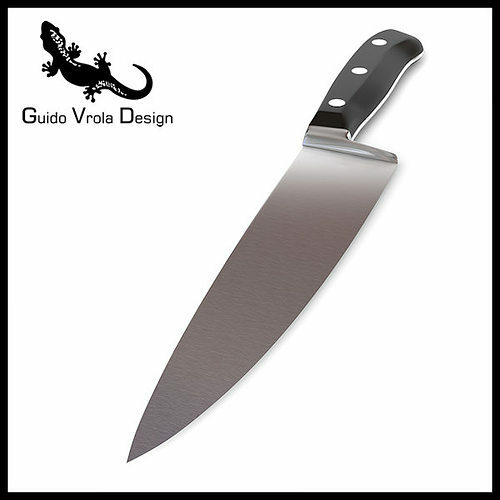 High resolution 3D model of a cook's knife modelled in Blender 2.5 with materials and textures. Ready to be rendered with Yafaray as shown in the pictures. This model is rendered with Blender 2.56 built 35974. Different builts can give a little different results. The model is exported in .3ds, .fbx and .obj. The model can be subdivided according to your needs. Subdivion surfaces methods such as Meshsmooth perfectly working. Materials only works in Blender, but textures are still usefull in other formats.